Sweden aims to have a fossil-independent vehicle fleet in 2030, fossil-free power generation in 2040, and a climate neutral society in 2045. Against this background, interest in electrolysis and renewable hydrogen is increasing rapidly. RISE, Research institutes of Sweden, and Swerim have now, with support from industry, received funding from Vinnova to jointly develop a new testbed where different applications for electrolysis and hydrogen storage can be tested and evaluated. The physical facility will be built in Luleå, Sweden. Renewable hydrogen from electrolysis has the potential to play an important role in a future energy system and help Sweden and other countries to switch to renewable power generation, climate-neutral industries and a climate-neutral society. This is illustrated not least by the cross sectorial industry project HYBRIT. With support from Vinnova, RISE and Swerim will develop a testbed where various applications for electrolysis and hydrogen storage can be tested and evaluated. The physical infrastructure will be established at Swerim in Luleå. To extend the scope of the tests that can be done, infrastructure and skills from other parts of RISE and Swerim can be integrated. An example is the testbed for development of biofuels and biochemicals at RISE ETC in Piteå. “The testbed will be an open and neutral arena where you can evaluate and demonstrate both single components and entire value chains for a wide range of different hydrogen applications. This may include energy storage, production of biofuels and green chemicals or hydrogen applications in the metallurgical industry. Equally important as the physical testbed is the competence center for hydrogen technologies that we now create” says project coordinator Anna-Karin Jannasch, RISE. 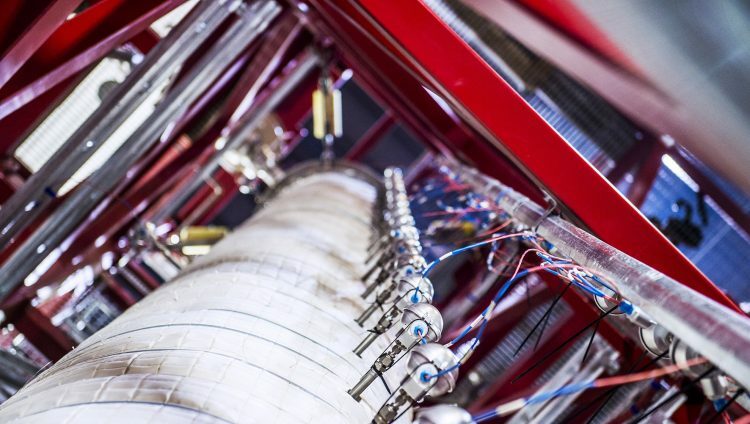 “The establishment of this testbed provides a unique opportunity to accelerate the development and deployment of hydrogen technology across multiplel industries and in society. Swerim and RISE, together with stakeholders from industry and the public sector, create critical mass to support development and enable us to expand our existing testbeds and services to meet industry needs” says Lawrence Hooey, project manager at Swerim. “It is gratifying that a national testbed in the hydrogen area is being established with infrastructure open to various research studies. This is important for the HYBRIT initiative and it is positive as it strengthens the competence in the region and in Sweden, in a new important area” says Mårten Görnerup, CEO of Hybrit Development. “We see this as a very interesting project since hydrogen is an important part of the shift towards a sustainable society as well as in the shift of raw materials for the chemical industry and for the Perstorp ambition to become Finite Material Neutral” says Anna Berggren, Business Development Manager at Perstorp AB. The testbed is being developed in cooperation with a working group consisting of around twenty stakeholders and future testbed users, including Hybrit, Höganäs, Sandvik, Perstorp, AkzoNobel Specialty Chemicals, Haldor Topsoe and Hydrogenics Pro.